Godwin Godfrey, A.k.a goodgodgee is one of the first class Records front liner. Here they are out to make history Again after dropping a song titled, "God of grace" some time ago, the song was a hit one and loved by many Fans. 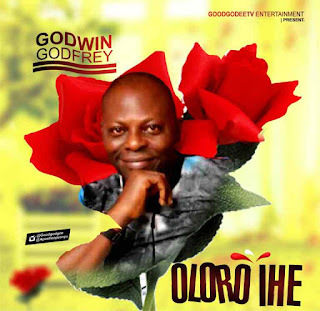 This time around, He has come up with another hot praise song titled "OLORO IHE" it is an Igbo song mixed with English and also another name for God. This song has the ability to lighting up your spirit and get in the mood of praise. Just DOWNLOAD BELOW , sing it and enjoy it to the glory of God . just a trial will convince you.